Researchers from QUT’s Australian Centre for Health Law Research (ACHLR) have published an article – Informing the Euthanasia Debate: Perceptions of Australian Politicians - in the University of New South Wales Law Journal on how politicians approach euthanasia and assisted suicide when they are voting on whether to pass a bill legalising such practices. Led by Dr Andrew McGee, a senior law lecturer at QUT, their paper follows the recent passing of the Voluntary Assisted Dying Act 2017 in Victoria, and covers a rarely examined perspective of the debate. 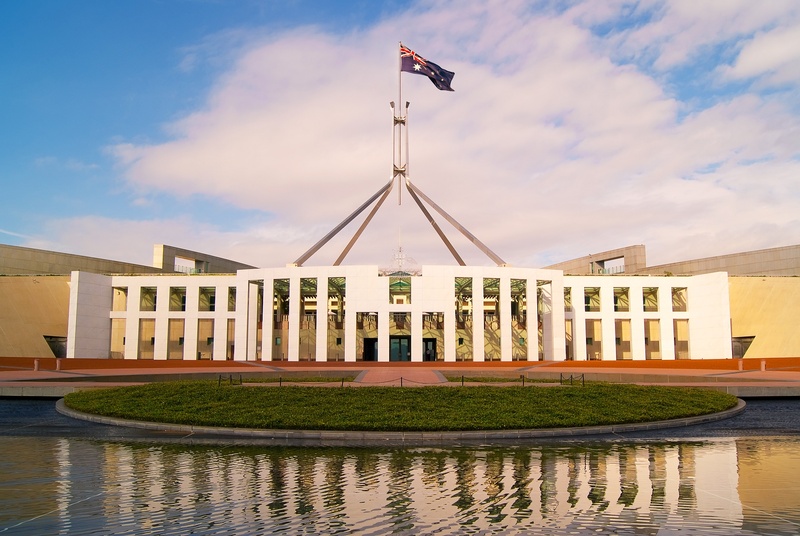 “EAS – which we use to cover both voluntary active euthanasia (VAS) and physician-assisted suicide (PAS) – is increasingly the subject of ongoing political debate in Parliaments Australia-wide,” said Dr McGee, whose co-authors were Dr Kelly Purser, Professor Ben White and Professor Lindy Willmott from the ACHLR, QUT law alumnus Christopher Stackpoole, winner of the 2018 Vinerian Scholarship from the University of Oxford, and QUT research assistant Juliet Davis. “Yet there has been very little scrutiny of the political debates about it and the associated arguments that have been advanced for often staunchly defended political positions for or against reform. “Our aim was to provide an evidence base about how politicians debate this vexed issue, which would assist scholars, activists, lobbyists, politicians and the wider community to engage more deeply in Australia’s EAS debate and thereby facilitate the scrutiny and critical review to which our law-makers’ discussions should be subject. “We have not attempted to critically analyse the quality of the arguments nor the evidence upon which they are based. However, we did conclude that many of the arguments advanced by politicians on both sides of this debate are highly contentious. "Consider, for example, the ‘religious sanctity of life ’ argument, or the secular ‘suffering is ennobling’ argument. Both of these arguments represent personal beliefs that not everybody in our community shares. “Such ‘Personal Matters’ represent beliefs about which people can reasonably disagree. While some people might think that these provide decisive reasons against EAS, others will not believe this. Dr McGee and his colleagues argue that while personal views should be represented in parliamentary debates, they should not form the basis for embracing or rejecting legislative change. “If there is legislative change, like we have seen in Victoria, individuals are still free to reject euthanasia as an option for themselves based on their own personal beliefs,” he said. “Other politicians go down the ‘Public Matters’ track. For example, they might argue that vulnerable people can’t be protected – these play out as the ‘slippery slope’ and ‘social risk’ arguments. “Parliament has a legitimate interest in protecting vulnerable people; so concerns about the adequacy of safeguards and about possible slippery slopes are legitimate concerns for the state to entertain. “The role of the Parliament is to balance the competing claims of those who wish to avail themselves of EAS, and of other people who could be adversely affected if the law is changed. “Efforts must be made to ensure that such Public Matters are at the forefront of the debate about EAS and that the views taken about them are informed by the latest peer-reviewed research. “The issue will remain contentious. However it would represent enormous progress in these debates if these are the matters on which parliaments focused most of their attention, leaving the ‘Personal Matters’ behind and not advancing them to justify laws that will bind everyone. “With this in mind, it may be that a conscience vote is not the optimal way in which parliaments should decide whether to legalise EAS. The full paper is available to read online via the University of New South Wales Law Journal.